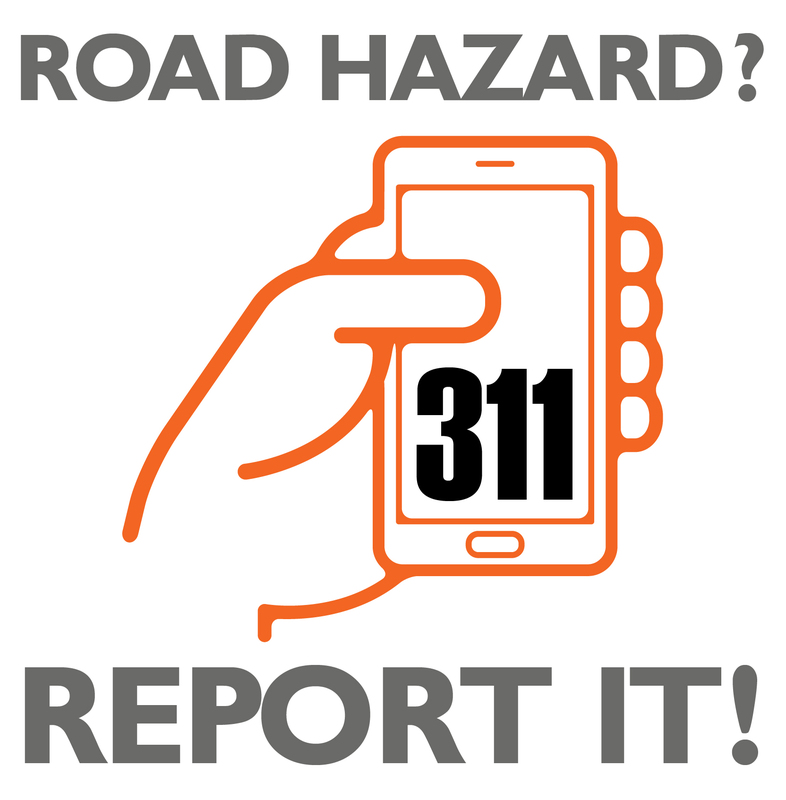 As we work to make our streets safe for people of all ages and abilities to bike and walk, we need your help reporting road hazards and close calls (i.e. are almost in a crash with another road user) that you experience while biking, walking or even driving. People on bicycles are often the first ones to notice road problems, as they are greatly affected by road debris, snow, or other hazards. The City of Cleveland has a dedicated and responsive service line you can call – 311 – where you can report these hazards. You can also fill out an online form if that is more convenient for you. If you encounter anything that prevents you from navigating to your destination safely – report it! We often find that the offending hazard or snow condition is remedied within a reasonable time frame. These reports can also help inform decisions to long-term changes in maintenance patterns and priorities. When you have a close call take a moment and submit it to our Close Calls Form below. We will use this data in partnership with the City of Cleveland’s Vision Zero initiative to identify trends and to inform future improvements (be them design, maintenance, enforcement or education) to our transportation network. Note that if you are in a crash you still need to file a police report by calling the Cleveland Police at 216-621-1234.